Federal Labor has pledged to make Appin Road safer for both motorists and koalas and to expand economic links between the Illawarra and South West Sydney regions. The election promise was made by Sharon Bird, Member for Cunningham and Dr Mike Freelander, Member for Macarthur at a media conference near Bulli Pass earlier this monring. Anthony Albanese, Labor’s infrastructure, transport, cities and regional development spokesman, has backed in the pledge. Ms Bird and Dr Freelander announced that a Shorten Labor Government would provide $50 million to deliver further upgrades to Appin Road. “Appin Road is becoming even busier due to the growing economic and social links between the South West Sydney region and the Illawarra,’’ they said in a joint statement. Around 30,000 people travel from the Illawarra to Sydney for work each day. Of those, some 10,000 travel to South West and Western Sydney and this number is growing, with Appin, Picton, Campbelltown, Minto and Camden becoming major destinations for those travelling west. Between 2012 and 2016, there have been more than 50 crashes along Appin Road, a number of which involved heavy vehicles. 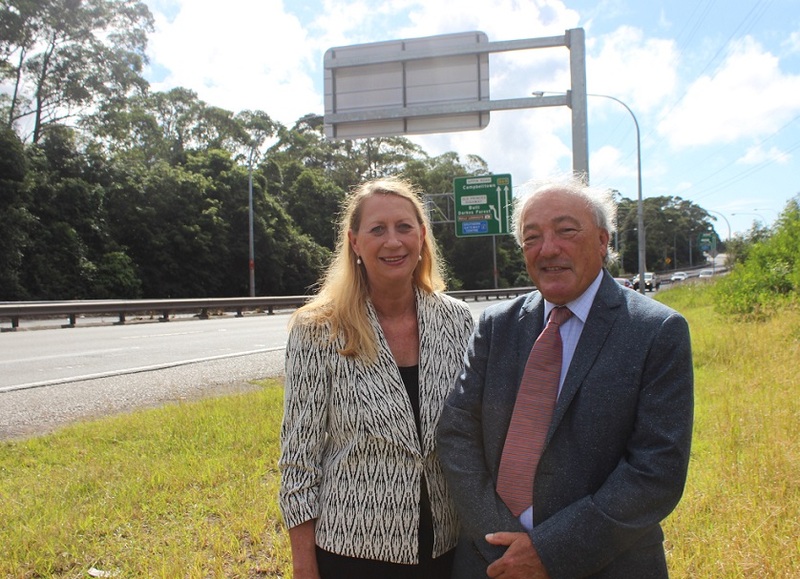 $50 million Appin Road upgrade promise: Labor MPs Sharon Bird and Dr Mike Freelander at Bulli Pass this morning. “The funding could be used for lane widening, shoulder widening, additional lanes and safety upgrades, with the final package of works to be guided by the planning work being undertaken by the NSW Government,’’ the Labor MPs said. They also announced that a further $5 million would be used to construct a “Sky Bridge”, or fauna overpass, over Appin Road. This would enable Campbelltown’s koala colony to continue to thrive, facilitating their movement between different habitats. “The local Macarthur community is witnessing a growing number of koalas being killed on Appin Road as they attempt to cross this major road,’’ Dr Freelander said.